A bookies worker has been jailed over a Back To The Future-style gambling scam that netted him more than £40,000. 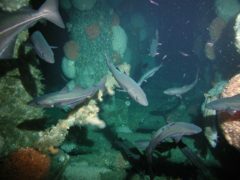 Man-made structures such as oil rigs and shipwrecks could help threatened corals to spread, a new study suggests. A man is to stand trial accused of embezzling £45,000 from a high street bookmaker - after allegedly finding a flaw in their system that allowed him to put on sports bets after the results had been decided. An underwater mausoleum off the US coast modelled on the lost city of Atlantis is helping relatives ensure their loved ones are sleeping with the fishes. 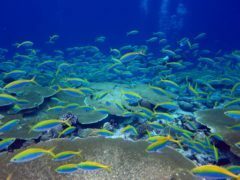 Black rats introduced to tropical islands in the past 300 years have caused devastating damage to coral reefs, a study has found. 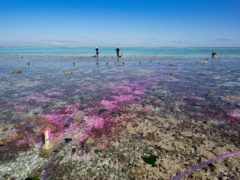 The Great Barrier Reef in Australia experienced a “catastrophic die-off” following an extended marine heatwave in 2016, scientists say. 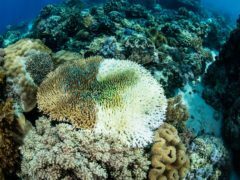 Coral reef growth could be severely stunted by the end of the century if greenhouse gas emissions continue unchecked, research has shown. 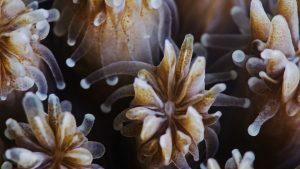 Corals like to eat plastic because it tastes good, scientists have found, raising concerns about the hazardous effect it might have on these marine animals. Cammy Bell says he has told Dundee United he was unhappy with the manner of his departure from the club. Dundee United have been mocked after it was claimed that Cammy Bell was advertised for sale on Twitter. A teenager has been charged following an alleged assault outside a row of shops in Dundee. Police are on the hunt for an armed robber who struck at a Fife bookmakers.